Know Whats driving the Industry? Factors such as the large number of fraudulent activities in healthcare; increasing number of patients seeking health insurance; the prepayment review model; growing pressure of fraud, waste, and abuse on healthcare spending; and high returns on investment are driving the growth of this market. Based on type, the market is segmented into descriptive, predictive, and prescriptive analytics. The prescriptive analytics segment is expected grow at the highest CAGR during the forecast period. The ability of prescriptive analytics to ensure the synergistic integration of predictions and prescriptions is the key driver for the prescriptive analytics segment. Based on component, the market is segmented into services and software. The services segment is expected to account for the largest share of the healthcare fraud detection market in 2017. With the increasing need for fraud analytics services and the introduction of technologically advanced healthcare fraud detection software, which requires extensive training to use as well as regular upgrades, this segment is expected to grow at the highest CAGR during the forecast period. Based on delivery model, the market is segmented into on-demand and on-premise models. The on-demand healthcare fraud detection segment is expected to grow at the highest CAGR during the forecast period. The high growth of this segment is attributed to the lack of upfront capital investments for hardware, higher flexibility, pay-as-you-go pricing of this model, and the increased demand for self-driven analytics. Based on application, the market is segmented into insurance claims review, payment integrity, and other applications. The insurance claims review segment is expected to dominate the healthcare fraud detection market in 2017. This segment is also expected to register the highest growth rate during the forecast period, primarily due to the increasing number of patients seeking health insurance, rising number of fraudulent claims, and growing adoption of the prepayment review model. Based on end user, the market is segmented into private insurance payers, public/government agencies, employers, and third party service providers. The private insurance payers segment is expected to dominate the market during the forecast period. The need to comply with stringent laws and the opportunity for substantial cost savings are some important factors driving private payers to invest in advanced fraud analytics. Among the regional segments, North America is expected to grow at the highest CAGR during the forecast period. Growth in this regional segment is mainly driven by the increase in the number of people seeking health insurance, increasing cases of healthcare fraud, favorable government initiatives to combat healthcare fraud, rising pressure to reduce healthcare costs, technological advancements, and greater product and service availability in this region. 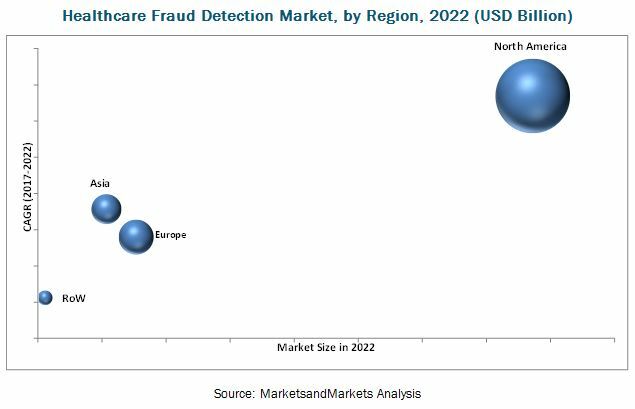 The healthcare fraud detection market is highly competitive with the presence of several small and big players. 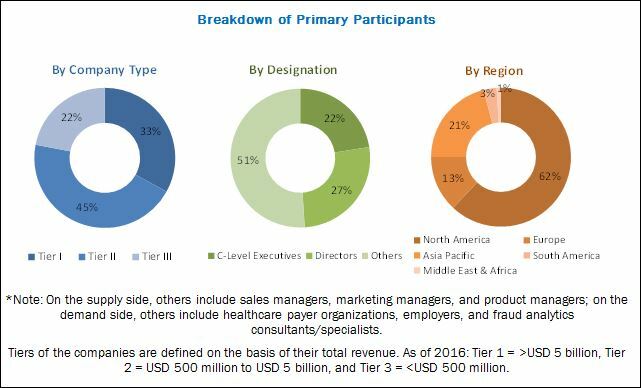 Some of the players in the healthcare fraud detection market are IBM (US), Optum (US), SAS (US), McKesson (US), SCIO (US), Verscend (US), Wipro (India), Conduent (US), HCL (India), CGI (Canada), DXC (US), Northrop Grumman (US), LexisNexis (US), and Pondera (US).